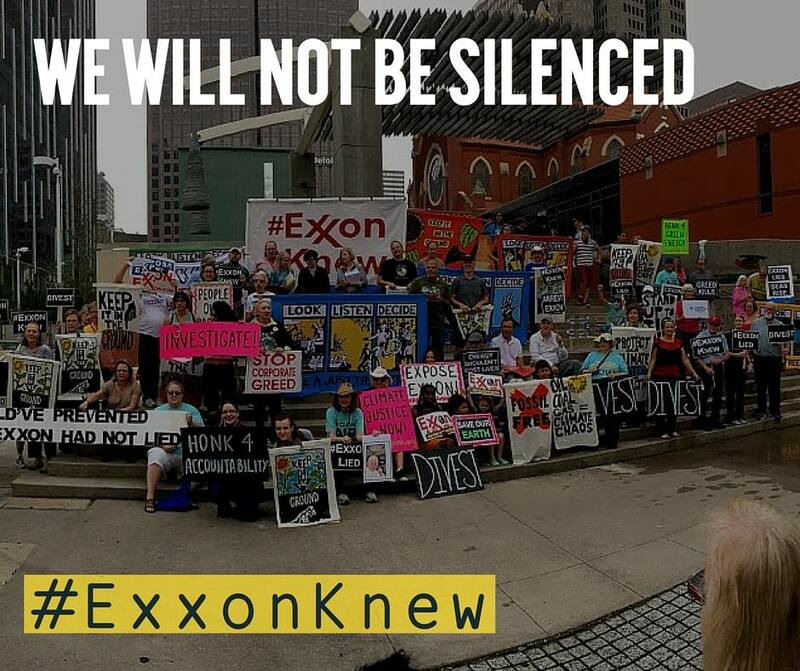 Update: At their annual shareholders meeting, Exxon faced a firestorm of protest, but they refused to back down from their "burn it all" climate policy. The one thing they have responded to is investigations by our Attorneys General -- which they've responded to with threats, accusations, and lawsuits. It's understandable that Big Oil companies like Exxon and Shell want to discover, extract and burn all the fossil fuels, that's how they make money and satisfy their investors in order to collect billions of dollars every year. But leading scientists have told us that we must leave 80 percent of them in the ground to avert the worst effects of climate catastrophe. What's not understandable, or at least not forgivable, is that after knowing about the dangers of climate change for nearly 40 years, they funded a climate denying scheme designed to mislead the public and influence lawmakers to not act on climate. Turns out lying to the public, investors and Congress wasn't legal, either. That's what Exxon and Big Oil did though, and thanks to the amazing to the amazing reporting of Inside Climate News and the LA Times, we caught them red handed -- holding the lighter that's burning and killing our climate. There's a description for lying to the public, withholding information from investors and misleading lawmakers -- it's called fraud and it's illegal. It's great that the top cops from several states have decided to hold Exxon and other Big Oil corporations accountable, but it's not enough. If we're going to get justice, we need as many AGs as possible, nationwide, piling it on Exxon. That's why we're teaming up with friends like 350 dot org, Oil Change International and others to demand every AG prosecute Exxon. Tell your AG to open an investigation and deliver justice to the people and the planet.